I seldom go to skincare centers. Because I'm often forced to work at home on my deadlines, I just stick to the basics -- cleanser, toner, and moisturizer. But being friends with Kikay mommy blogger, Jen Aspacio, had me reading about the beauty treatments she's been having. I realized that's why she looks so young! 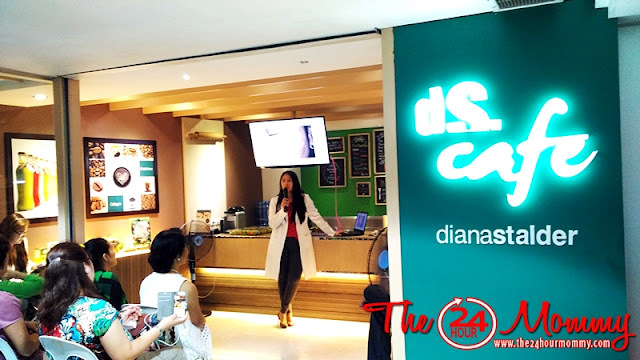 Good thing, Jen and I were invited, along with our other Grasyas mommy blogger friends, Iris Acosta and Iris Pulga, to Diana Stalder Centre and dS Cafe last week, where I got to learn more about their holistic skincare approach. 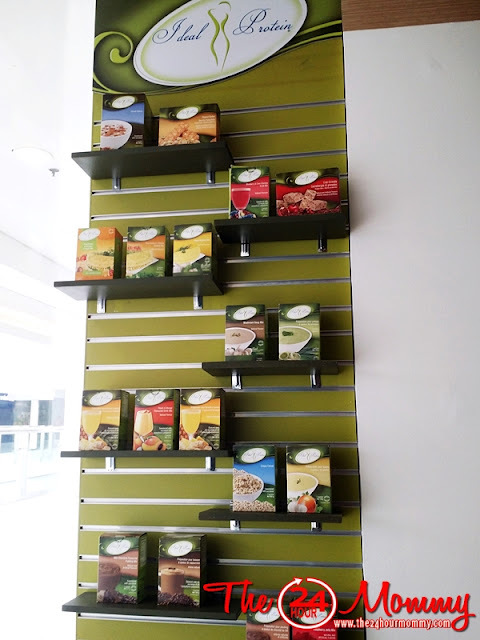 Such approach not only includes taking care of the aesthetics but also innovatively incorporating the science of dietary nourishment. Many skin problems arise from poor nourishment. For example, high-carbohydrate food such as potato chips, donuts, and sweet cakes, can worsen acne problems. Melasma or hyperpigmentation (discoloration of the skin) can be triggered by junk food. These unhealthy food can also increase the speed of the skin's aging process. Yikes! Guilty as charged ako! It's never too late to make healthy food choices to prevent or counter these skin problems. This is what inspired Diana Stalder's President and CEO, Ms. Dina Stalder, to establish the dS Cafe to serve as a nutritional diet haven for Diana Stalder Centre patrons. 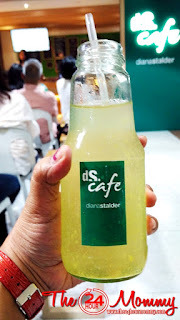 While listening to vegetarian and healthy living advocate, Ms. Eleanor Rivera, in their Diana Stalder Gateway branch, I was happily sipping a bottle of all-natural calamansi juice sweetened with stevia. By the way, Ms. Dina is going to put up an organic juice bar soon in partnership with Ms. Eleanor's Healing Present and Wellness Center. dS Cafe also showcases Ideal Protein products from Canada which Ms. Dina combines with her personally developed diet regimen for the centre's IP Weight Loss Program. This exclusive program helps clients shed unwanted pounds in just a few days or weeks by precisely measuring alternative food sources that are customized to the clients' profiles and lifestyles. Clients of the IP Weight Loss Program are raving about it that Ms. Dina is now fondly called "Coach Dina." 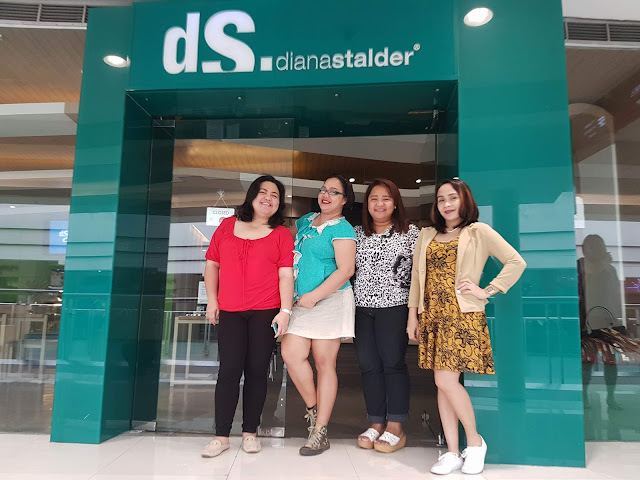 A few days after visiting Diana Stalder Gateway Mall, the girls and I went on our much-awaited treatment sessions at Diana Stalder SM Megamall. 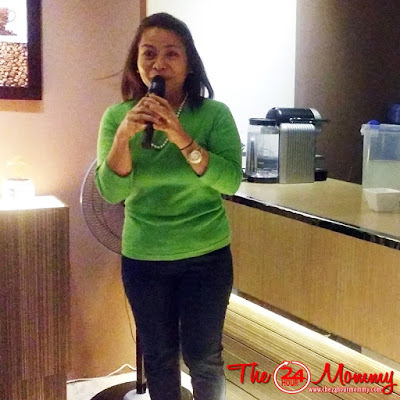 Jen is a suki of Diana Stalder Centre and just had her laser treatment done before us. (Read: Diana Stalder Laser Treatment for Sunspots and Spider Veins Review) And because she had her treatment done already, she became our unofficial "bully" photographer, hahaha! The two Irises and I had different treatments. Being the oldest of the three (aray ko!) and the one nearing 40 (ouch again! ), the dermatologist recommended that I have the Dermalift treatment for prevention of fine lines and wrinkles. The Dermalift facial treatment uses micro-currents of infinitely adjustable timed pulses and frequencies of a specifically chosen wave form, gently applied through specially designed facial probes. To put it simply, kinukuryente po ang mukha ko diyan. Haha! It's not that painful, really. Mild currents lang. The micro currents stimulate skin regeneration and elasticity of the skin in the face and neck areas. Ten (10) sessions are recommended to fully enjoy the benefits of the Dermalift facial treatment. In fairness, the price is actually affordable at Php 1,600/session and the package is discounted, as well. To continue the anti aging regimen at home, I was given the Anti Aging Set. In the morning, I wash my face with dS Collagen Soap and thoroughly cleanse it with dS Dual Action Toner. It's dual action because it moisturizes and, at the same time, cleanses the skin of impurities. Lastly, I put on the dS Collagen BB Cream that doubles as make-up foundation and sunblock. At night, I use the soap and toner for cleansing and apply dS Skin Hydration Therapy cream for moisturizing my skin overnight. 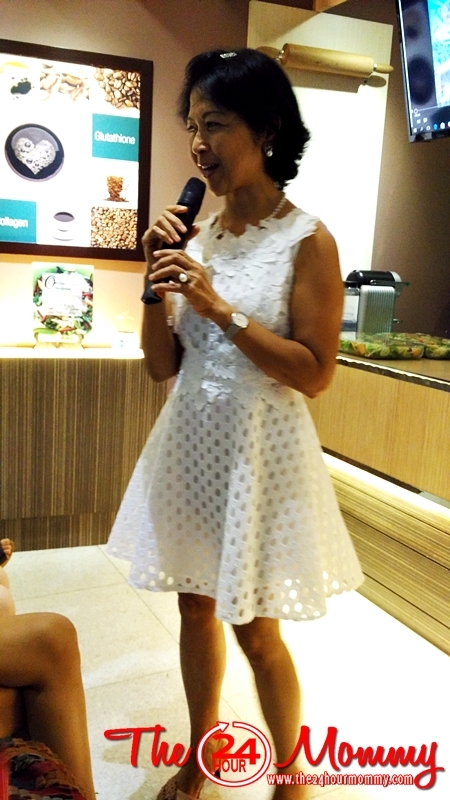 I like Diana Stalder Centre's holistic mission of not only providing skin care treatment but also advocating healthy eating. If you're also inclined to healthy living and skin care, I highly recommend visiting Diana Stalder Centre and dS Cafe. A friend goes to Diana Stadler for a regular treatment. And I have witnessed the big improvement. She is happy as well with how the center pampers her and beautifies her. I visited Philippines in winter and I also drank Calamansi juice or water with Calamansi every morning! It is so easy to be vegetarian in the Philippines! You have mangos! I could eat only them and watermelons!!! I am late 20's and I can already see some sign of aging especially on my laugh lines and forehead, that's why I stick on the Korean skincare regimen. I honestly think that it combats those skin problems.. It's a bit of a tedious tasks though but it's worth it. Nice post as a review of the place. Seems like quite a useful session on skincare. Even your post is quite informative, especially that bit about the effects of junk food. I haven't tried any diana stalder products but reading your blog post on it made me curious... I've been eating junk foods lately, plus i've been sleeping late too. No wonder my face broke out. Thanks for reminding me to look out after my skin by eating better and healthier.